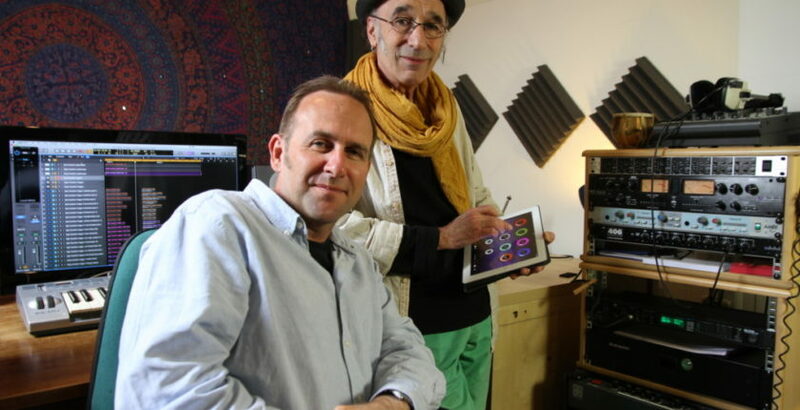 Two musicians from Bristol have developed an app to help people living with dementia after experiencing the effects of the illness first-hand. Mark Smulian and Stewart Redpath have created the Lydian MindHarp, a tool which allows non- musicians to create their own music. The MindHarp has been shown to help people with dementia engage with music and interact with people around them, having a long-lasting effect on their emotional well-being. Stewart and Mark have been working on the MindHarp for nearly four years and visited the Peggy Dodd Day Centre, which supports people with memory loss, on a voluntary basis for seven months to develop the app with both carers and clients. A report from the Commission into Dementia and Music, in partnership with independent think tank, the International Longevity Centre (ILC), has found evidence that music therapy also helps reduce behavioural and psychological symptoms of dementia, such as agitation, depression, delusions and aggression.